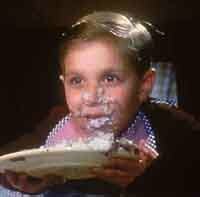 My jaw is soar as I cram a third piece of Bubble Yum in my already over crammed mouth. The sugar is slow fading away along with the taste oh… in the 10 seconds after I first start chewing. 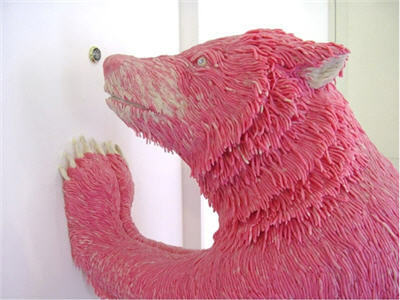 The gum is now a pink gob of magnificent possibilities. I stick out my tongue and begin to slowly build a little pink bubble and then I exhale at a calm pace. The pink gum balloon begins to grow and my eyes get bigger. I get in a defense stance ready to fend off possible attacks by others eager to pop my trophy. Now the bubble is the size of my head, and then just then…the entire thing is all over my face deflated like my moment of temporary glory. I continue picking every sticky bit off my face. Ahh the days of blowing bubbles with bubble gum. Wait what am I saying, I just did this last week. Now for a bit of instruction. Chewing gum and bubble gum are two different things. All pros use Bubble Gum to blow bubbles. The reason, quantity and elasticity. 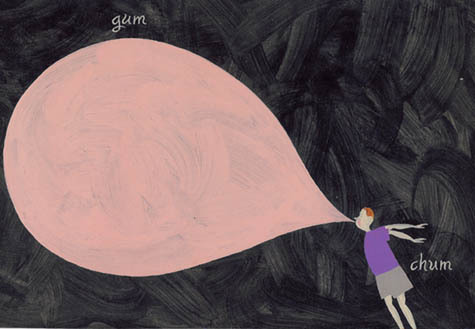 The key to blowing an amazing bubble is two or three pieces of gum. The hidden secret is to wash your gum. Yes I said wash your gum. 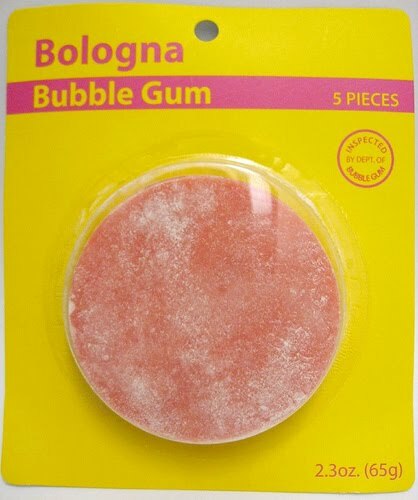 I had a teacher in 5th grade, and her husband worked for Bazooka Gum. She explained you had to chew out all the sugar or wash it in water with your hands. Sugars are in tiny crystal form within bubble gum, and they burst your bubble, literally. The other key is to make sure you use your tongue properly as shown below. 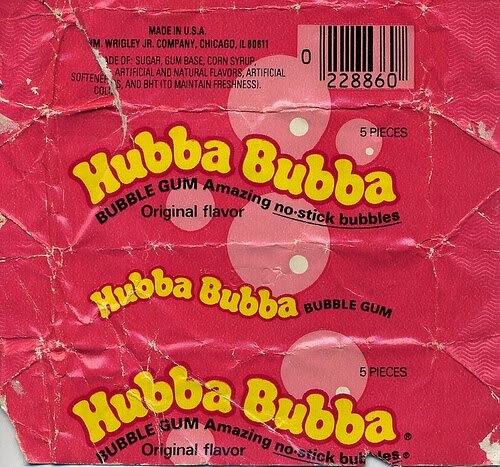 Now as for some of my favorites, I would have to say I miss Hubba Bubba. 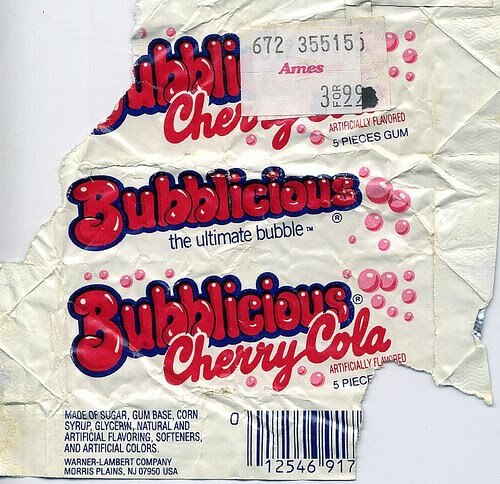 Then there is my all time favorite Bubblicious Cherry Cola. I really wish it would come back. 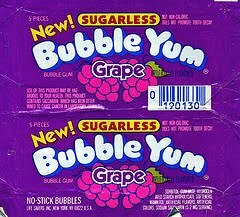 Bubble Yum came out with grape which became a close second to bubble gum original flavor and Cherry Cola. Litte known fact about the why the pink one is called original flavor? Walter Diemer invented gum on accident and when he started to sell the gum he only had a pink color die and one flavor to work with. The real “original” as we call it today was tootie-fruitie. There are also other ways to package gum as we all know. On warm summers I almost always had a pack of Big League Chew in my back pocket. Any kid who played baseball remembers finishing a pack in one inning. 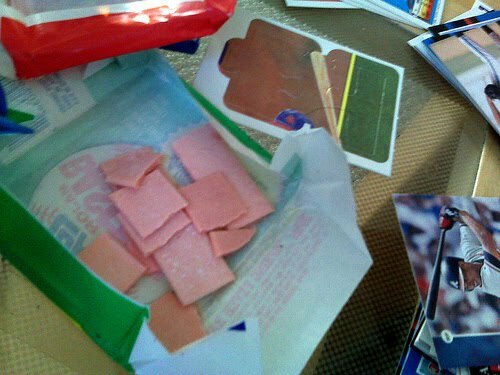 Or there was the excitement of opening a pack of baseball cards not only waiting to see if you got a rookie card, but that single moment as you peel back the waxy wrapper to reveal, stiff, stale, white powder dusted pink gum broken into bits. Anyone out there remember getting bubble gum cigars? I sure do, and I loved them purely because of how much gum was in one wrapper. It seemed as I grew up gum kept evolving into new ways for me to ingest sugar and blow out my jaw. For blowing bubbles my personal choice is Bubble Tape, you know, its six feet of bubble gum for you not them. The best part is you can control the exact mount, which I have down to a science, for the perfect bubble. 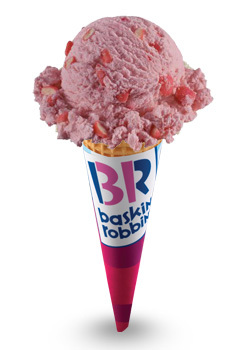 The next best thing to gum by itself was Bubble Gum ice cream at Baskin Robins. 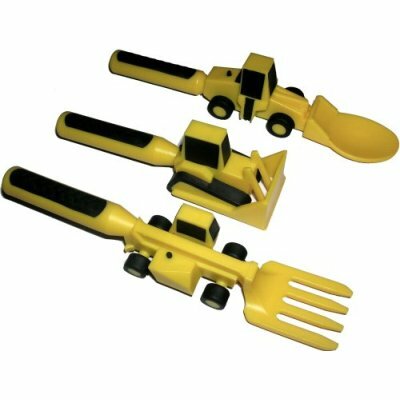 I use to get a dixie cup and spit each piece out so that I could chew it later. I think over time you came to realize you had ice cold hard bits of gum that amounted to only 1/10 a stick of gum, but its the journey not the destination right? 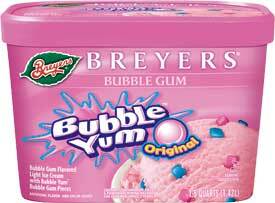 I also loved Bubble Play, I would say that was one of my favorite ice cream bars to get from the Ice Cream man. No matter how old you are you are never too old to blow a big bubble. Go out and grab your favorite flavor, have at it and send me some pictures at Chapmancatalyst@me.com I will post the best picture and you will receive a worth while prize. 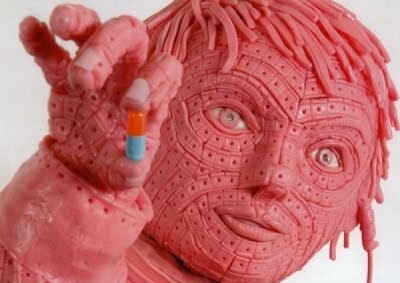 Be on the look out for fun new gum, I mean who knew there was bologna gum or sculptures made of gum. Oh yeah and be a Bubble Maker in life not a Bubble Popper. Enjoyed this post? Please help to spread the word by clicking the orange plus below to share the post, and please click word “comments” below to leave your comment. Growing up I was always a fan of Michael’s music and his music videos. 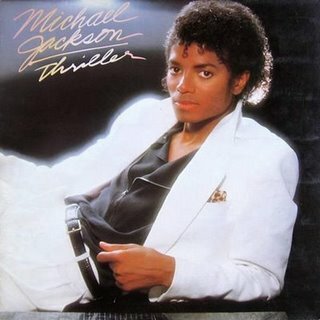 I use to watch the Thriller video over and over and over again until I think I wore the tape out. I will admit I was mostly drawn into the movie magic and makeup for the zombie/werewolf behind the scenes done by Rick Baker, none the less it was a full entertainment package. 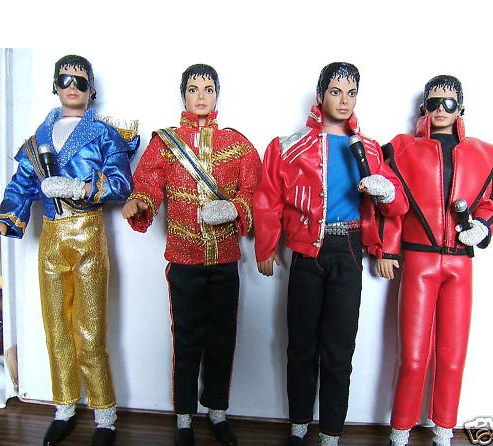 Below are some of the amazing behind the scenes makeup FX of Thriller. 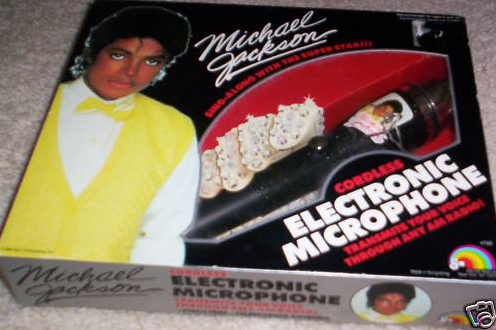 I use to lip sink into an MJ toy Microphone to his vinyl records. Yes for the young ones out there, real LP’s with the soft scratches and the wonderful pops! 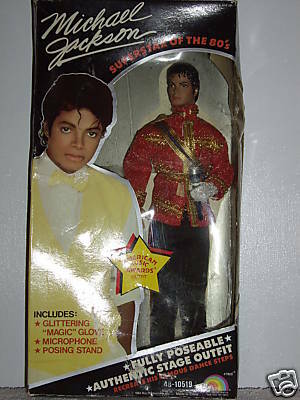 My sister and I both had MJ figurines, and even the iconic sparkling glove. As I grew up I was never a die hard fan, but I did buy his music here and there and sing at the top of my lungs to his music wile driving in the magic car bubble where anyones vocals sound amazing. Now we all know there has been harsh criticism of his personal life and many allegations, none of which have been proven. You might choose to believe or not believe in the allegations, but for a moment let us put all of that aside. 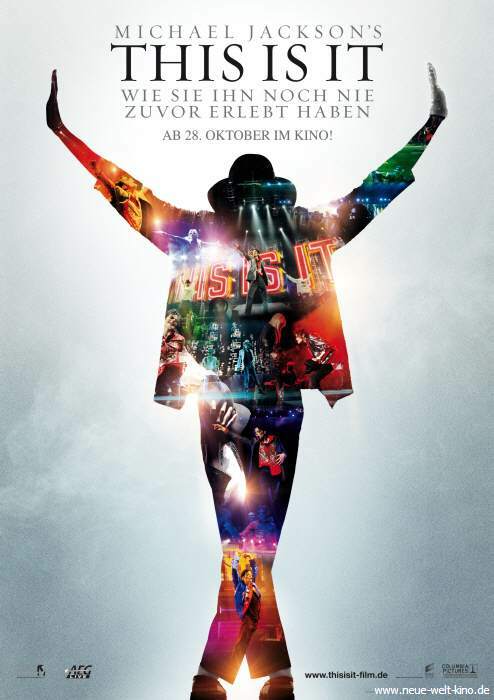 As I sat in the theatre watching This Is It I was witness to something very special. Getting the chance to see behind the scenes into MJs creative process, leadership, innovation, storytelling, and humanity left me in awe. We all know MJ was an amazing talent. What grabbed me however was watching him tweak, test and re-polish everything from lighting, to vocals, instrumentals, dance moves, staging and more. Michael had that ability to feel the moment then realize the vision both before and after trial runs. If the lighting or guitar came up too quick after a pause in his dance choreography, he would pause and calmly say something like, “No…no wait a bit, let it simmer, bam then bam, let the note simmer longer, get all of it then we BAM with the lights and second note” When they ran through it again, you could see how he was able to squeeze every drop out of a perfectly choreographed moment. That new refined moment brought me to chills even though I just saw the same sequence 1 minute earlier with little to no effect. MJ had the Midas touch with his dancers as he polished off moves. 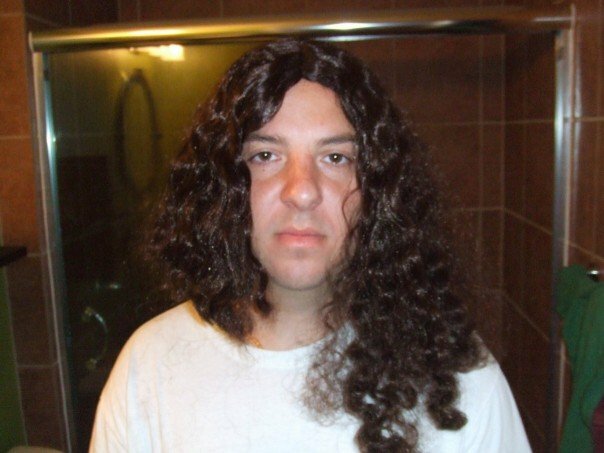 He would push his guitarists to new levels by refining notes and beats. He would fix the temp simply by humming or beat boxing with his lips to the music director or musician. When they filmed special backdrop scenes he was there to plan out every step of the way. When something didn’t feel right, he would stop, and find away to do it better. Seeing a test run, and then what his tweaks did to improve every detail was again inspiring. The preview of the movie below is the only one that shows enough to truly catch the essence of what I am trying to explain and I recommend watching it. Pay attention to how he interacts with his cast, his voice overs as he speaks to his team, as well as the part where he is beat boxing to explain how he was the bass to sound. We can learn a great deal from Michael Jackson and his creative process. 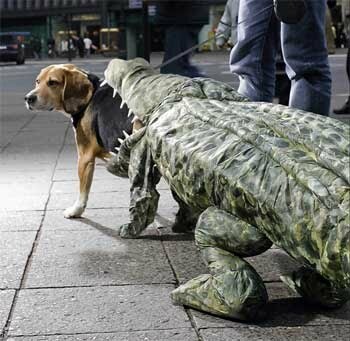 As a creative we should always be pushing the boundaries and innovating. We should care about what we do, the message we are sending and make our teams a part of a creative family. We should teach and show people what we want instead of only demanding what we want. We should try our vision many times and refine it along the way, and when we are done do it all over again. Last but surely not the least, we should look to others for inspiration. Michael said it best “The greatest education in the world is watching the masters at work.” Thanks Michael. Enjoyed this post? Please help to spread the word by clicking the orange plus below to share the post, and please click word “comments” below to leave your comment. Let me take you back to Halloweens of yesterday. 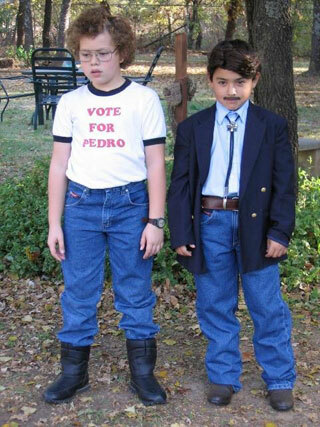 Remember dressing up as a kid for Halloween? 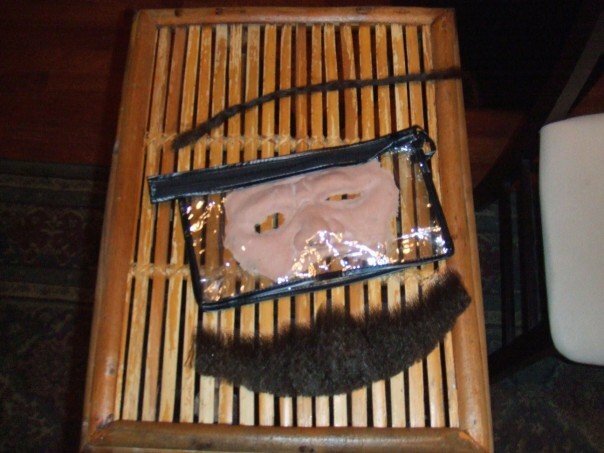 I remember planning out everything from what I was going to be, to how realistic I could make the costume. He-Man was one of my favorite cosutmes I can remember, the plastic muscles and a cheesy plastic mask complete with elastic band in the back. 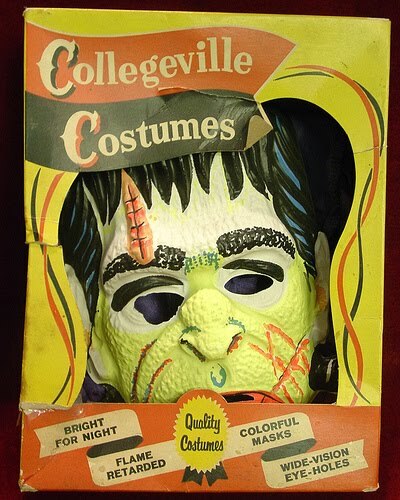 For some reason I remember how hard it was to breath under that mask. 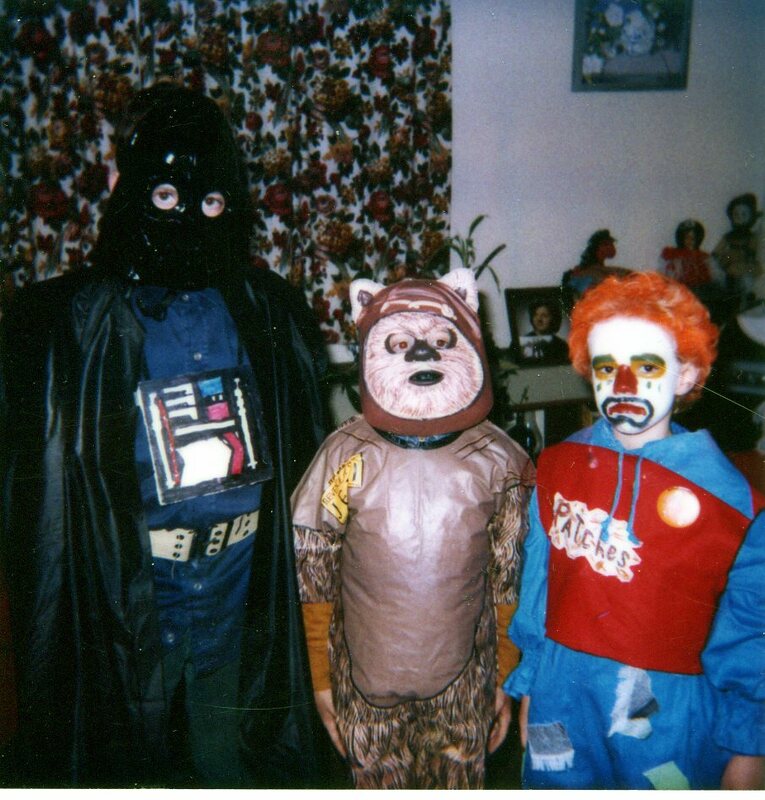 Even at a young age I had a problem with how real a costume looked. I told my mom, that I didn’t like that my hair was showing in the back, which didn’t match He-Man neon yellow plastic hair. Don’t even get me started on how I fought my Mom on why He-Man would never wear a puffy warm jacket. 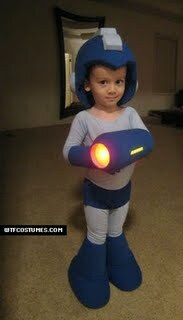 Fast forward to toady and now as an adult when I do a costume I still choose to go all out. I want my costumes to look like they walked right off a movie set or jumped straight out of a comic book. 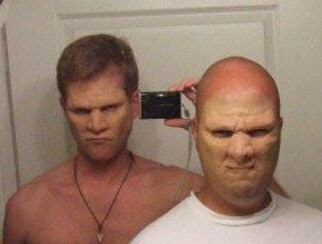 My friend George and I started to purchase foam latex and Hollywood makeup kits to create some of our most recent costumes. When I say Hollywood, I mean 2 hours working on the application of the prosthetic, gluing the piece to my face, powdering, layers of color makeup, wigs, and buckets of elbow grease. 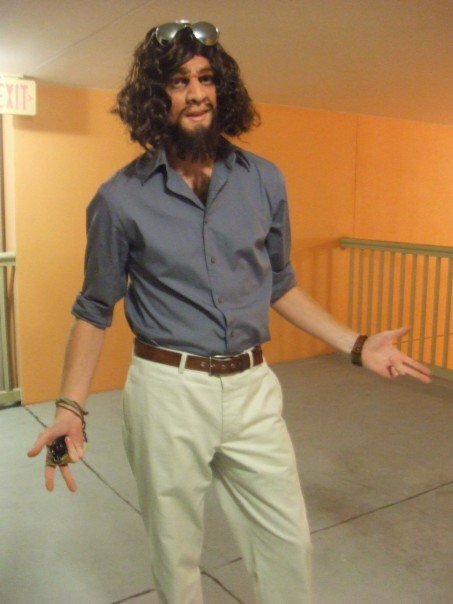 Our first attempt was the Geico Cavemen and when I looked at myself in the mirror I was as excited as I was to put on my He-Man costume in the 80’s. When I described the process I brought up glue. This glue is very serious stuff, so serious in fact that it takes a chemical to remove it or else skin is coming with it. I have always had a passion for movies and I guess this was a way for me to live out a fantasy of working on movie sets for Stan Winston. 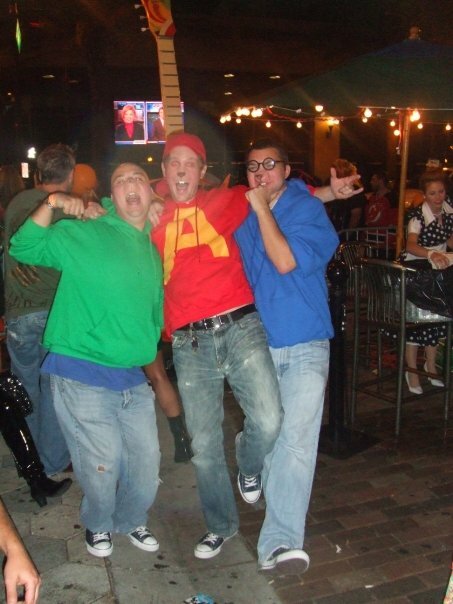 In years past I was Captain Jack Sparrow, and last year a group of us went as Alvin and The Chipmunks. When we put these costumes on we didn’t just wear them we played the part. 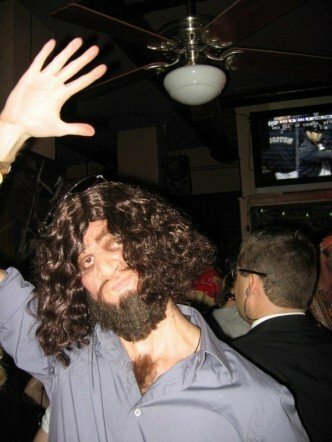 Halloween is a time where we can truly let go and be someone else. 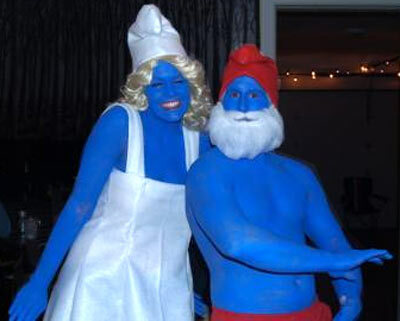 Its never to late to figure out a costume, go out and play dress up. Even if you aren’t going out dress up and hand out candy at the door. 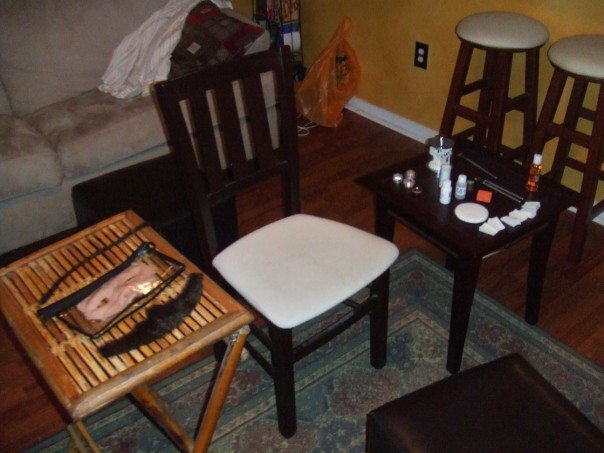 Get creative, go fish through some old clothes and see what you can come up with. The key is to pick someone or something that you have a passion for. When you dress up choose someone or something that you have an interest in. It is that much easier to put time, energy and creativity into making it happen when you have a passion for the idea. 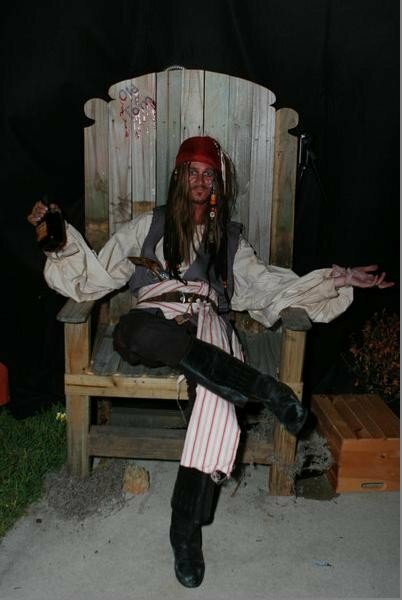 In my case, one year I was invited to go to an extra Hallowen party. I happen to love the Muppets, so last minute I pulled together a doctors jacket, clown shoes, Harry Potter glasses, some makeup, and hair die. 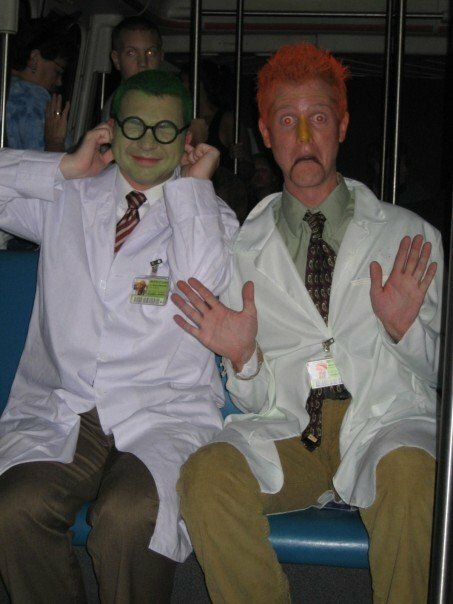 The result, in this random concoction of items, turned myself and my friend Ryan into the Muppets Beaker and Bunson. 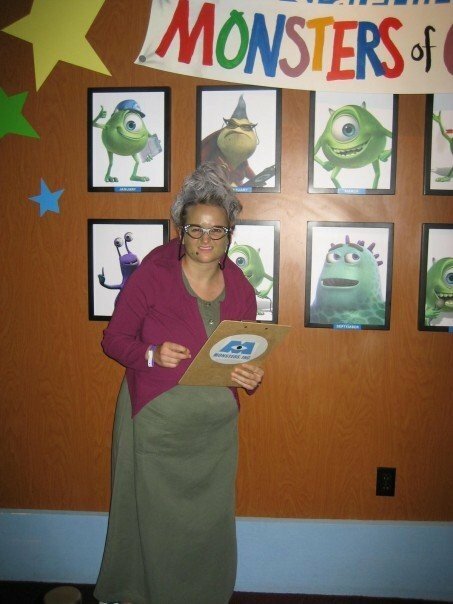 My friend Molly chose to get really creative and went as Roz from Pixar’s Monsters Inc. The other key rule is that there are no rules. 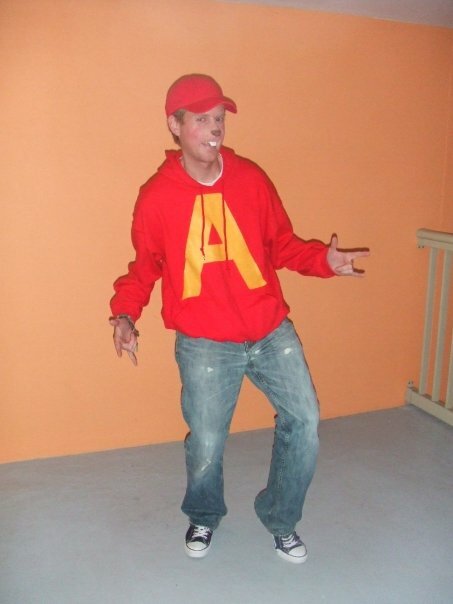 Your costume can be funny, cheesy, cheap, expensive or clever. I recommend not just buying one off the rack but that is better than nothing. 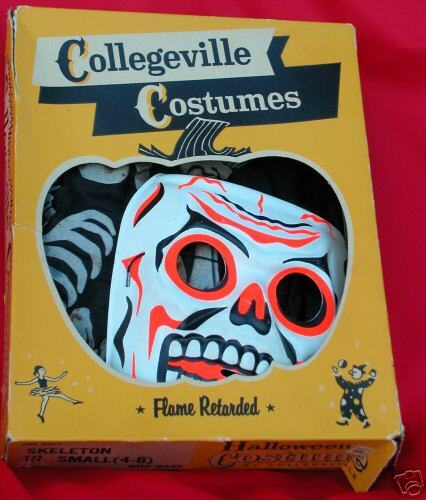 You could buy one off the rack and then add to it or tweak the costume to make it even better. 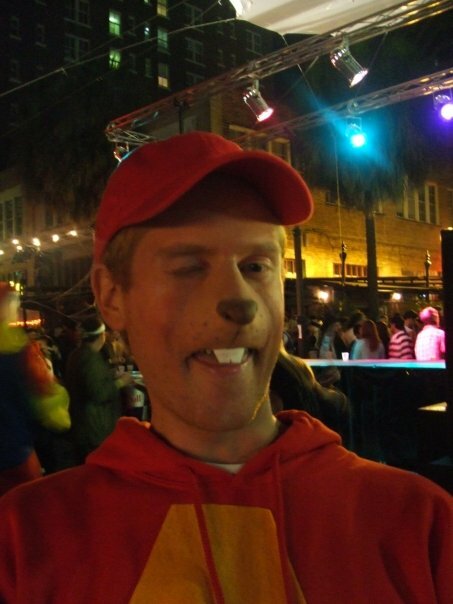 Ill post my surprise costume as a post after Halloween, the hint is “Where?” Below are some fun tasty Halloween treats in the form of costumes. 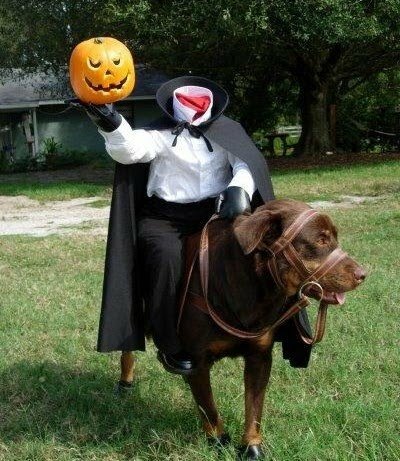 Hope you enjoy and Happy Halloween/Trick or Treating. Who ever this kids parents are are children of the 80s and brilliant. 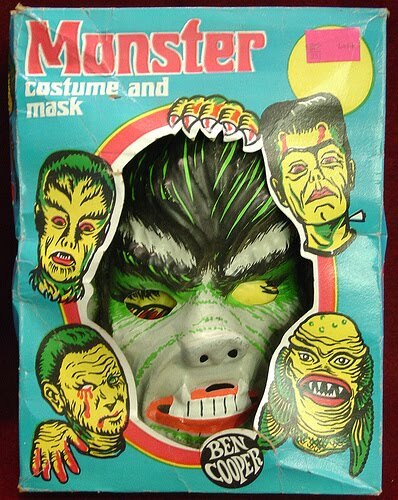 I posted these masks because I love the design, packaging, and retro goodyness. 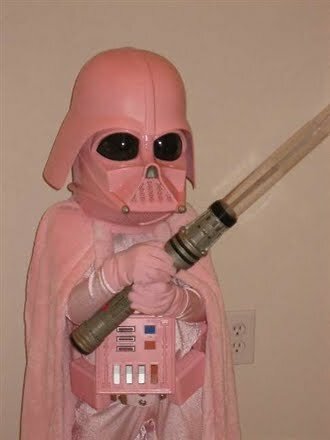 The pink is strong with this one. 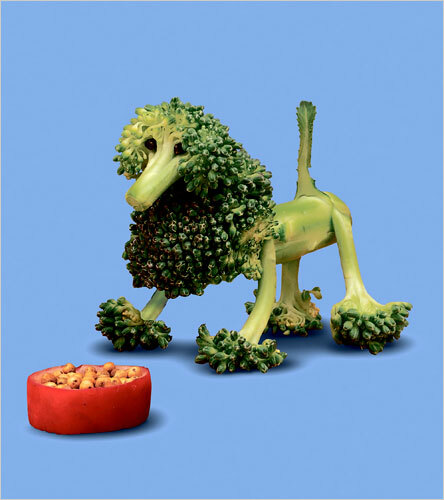 I use to play with my food and if I remember correctly it was not frowned upon. As long as I ate it I was free to build forts out of mashed potatoes and make faces out of breakfast bacon and eggs. 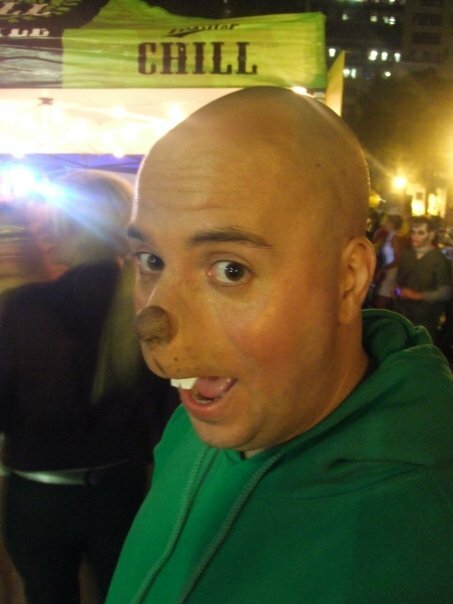 Now I never really got into full face dives with piggy oinks, like that of the Randy in Christmas Story. I did however, use to take flower and water and mix it in bowls pretending I was a chef and loved it. I used food coloring, fake spices, and even dog treats for color. 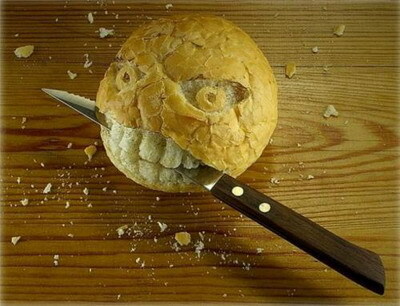 I didn’t eat it I just had fun with it. Play-doh was originally homemade flour,water and salt with food coloring right? 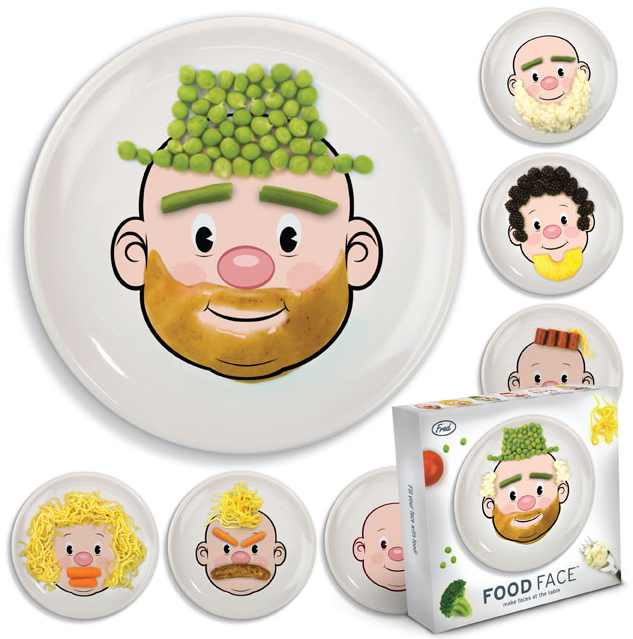 Why not get creative again with food for both play, eating, and presentation? 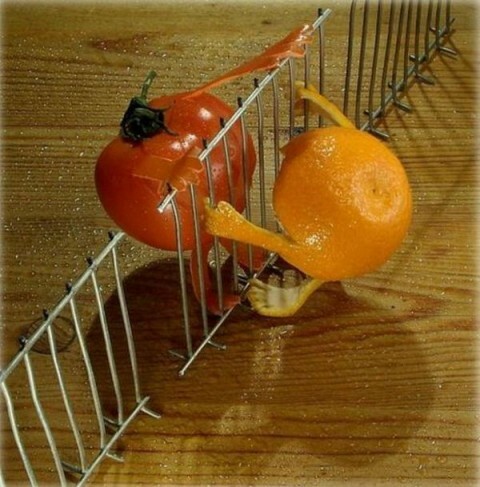 Playing with your food can be more than a way to delay eating food that you would rather not taste. 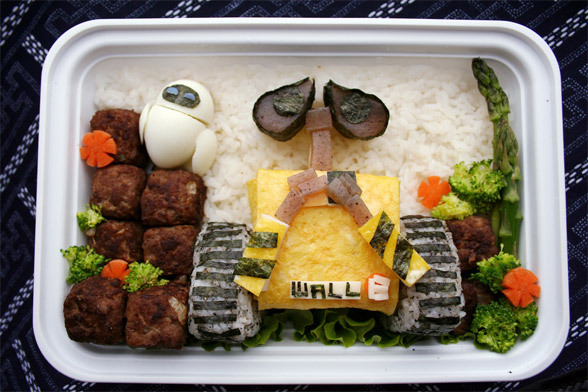 I urge you to play with your food. 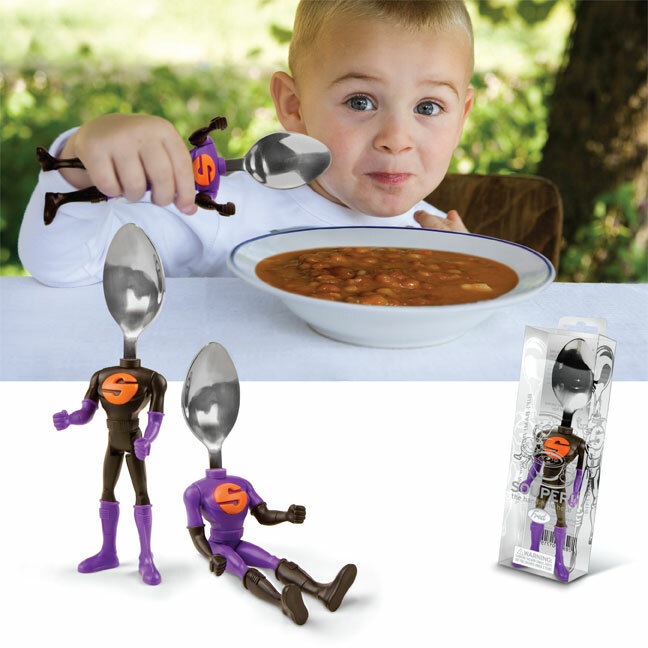 You can have a Souper hero spoon, a face to decorate, make sculptures, turn a boring hotdog into redneck octo-sushi. 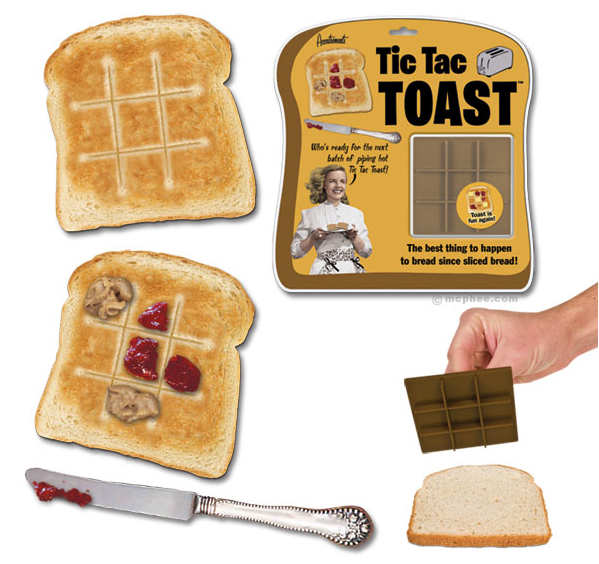 You can play tic-tactoe on toast and more. 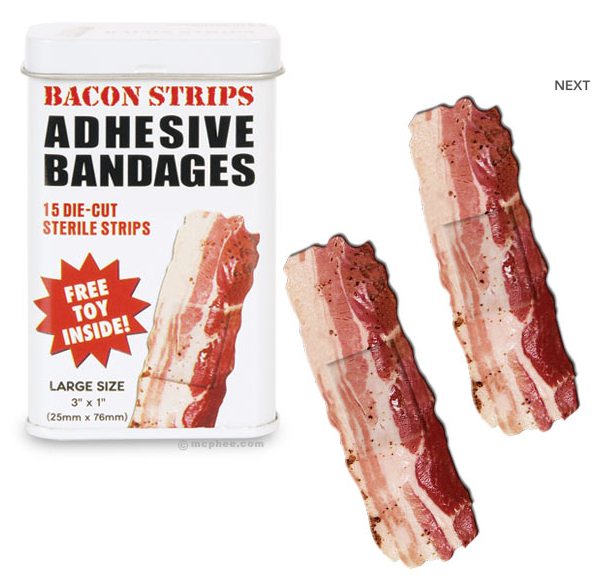 Sometimes the food you play with might not even be edible…Bacon band-aides anyone? 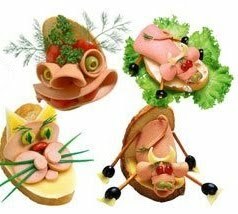 Next time you sit at the table or want to make dinner a bit more interesting, drop the salt and pepper and play with your food. 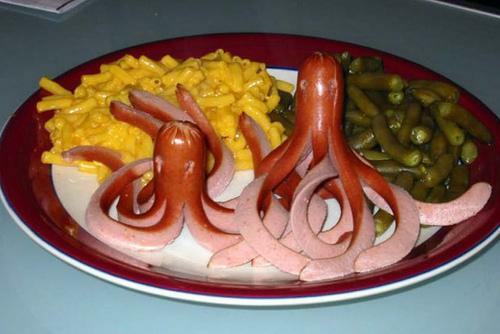 If you get to sling gooey rainbows of culinary slop at everyone at the table, like in the movie hook, Bangeranggg to you! In one my my earlier posts I mentioned when I was at a design conference I found four scratch off winners on my inspirational lotto ticket. I was on the way to cashing in the jack pot winning ticket to my mental bank. My right side being a mental Swiss bank account of freedom, and my left brain a 401k of responsible brain investing and spending. I had enjoyed Stefan’s work after snooping on the web but after his talk, a workshop, and a sit down with him I was inspired and motivated. I will get to his monsters in a bit, for now I want to share something with you.Stefan G. Bucher first walked on stage in Memphis and after a few short words he started a video. Music slowly flooded the theatre with anticipating notes. I leaned forward out of my slouch to absorb what was playing in front of me. It felt like a teaser to a great movie that I was going to have to wait for. However, the best part is that I didn’t have to wait as Stefan delivered immediately. Watch the intro below and avoid driving or operating heavy machinery after watching as you might be left light headed with a fogging high level of bliss. After watching this intro Stephan had more to share. One thing that stood out was that he had gotten rid of all his personal debt. In doing so he was now able to choose the clients he wanted instead of grabbing any client in defense of paying off any debt. I thought to myself, “How refreshing.” This then in return allowed him to do his own private projects and things he loves. I myself could relate as a designer that had stopped creating my own projects outside of my nine to five. At one point he was offered an opportunity to design one of the NFL Super Bowl Logos. He was going up against other designers and being a self proclaimed geek who doesnt care for American Football, he chose to design a Super Bowl Logo for nerds. The logo speaks for itself. 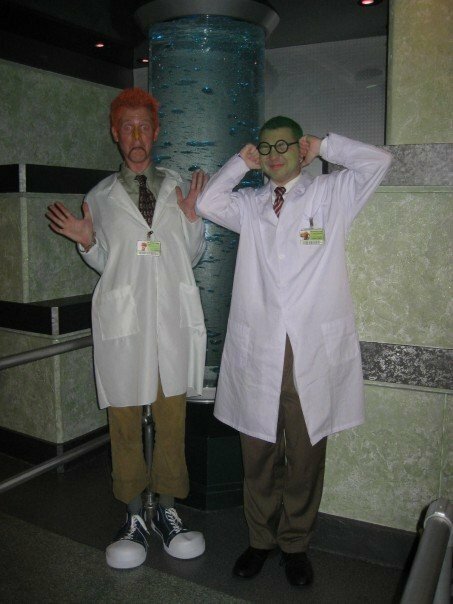 but one of my favorite aspects was Prof. Fin, from the Simpsons, harnessing the testosterone molecule. (see annotated large logo) Needless to stay Stefan Bucher lit a fire under my design seat and my own personal projects. I have become deeply curious and interested again with personal projects in ways that I was in design school. One of his personal side projects you may have heard of is his wildly creative Daily Monsters. 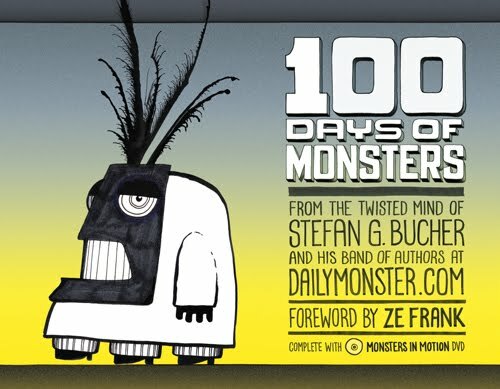 Stefan Bucher started Daily Monsters through his 344Design. Once a day he captures on film himself laying down some black ink, a quick spray or three of compressed air to push the ink around, a few turns of the paper and himself drawing up a monster from his imagination. My favorite thing about this is that he is doing it for himself and not a client, its playful, and that he is discovering creatures from happy accidents. To me seeing opportunity in accidents is what defines the creative process. He continues to push the envelope, which is the sign of an innovator. He chooses to evolve his monsters on his own and learn along the way about himself, his process and even new softwares. He started to ad colors, backgrounds, and even animate the monsters. I was pleased to find out he had chosen to learn how to do motion graphics on his own through Lynda.com. Great people, artists, designers, leaders, etc are always looking to learn more. It was a pleasure seeing him take time to give back to others in this format. Myself along with twelve others sat in a round table where we talked art, design, and more. Stefan was refreshingly honest about himself and his work. At one point even admitting working with him isn’t easy. When is the last time we were that honest with our selves let alone strangers? We can all take a page out of his book of life and work. 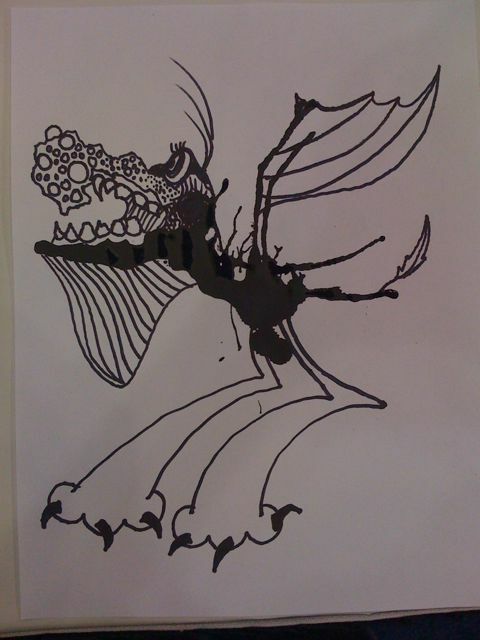 You can visit his web page and even contribute with a monster of your own at (Daily Monster). Enjoy an example below. Still to this day if I watch someone set up to bake, I get excited. I begin to watch and wait as impatiently as a dog waiting for dinner. I might pace, or find a reason to pass the baking area as many times as possible with out giving my master mind plan away. Now many people are waiting for something warm, soft or gooey and most likely chocolaty to come out of the oven. Not me, no sir & no mam, I am waiting for that magic moment when all ingredients have come together, the mixer tilts back and there is my moment of culinary bliss. Waiting on cold hard duel whisks in all its sugary glory is the batter. Now if there are others around, you might have to barter to get one of the whisks. 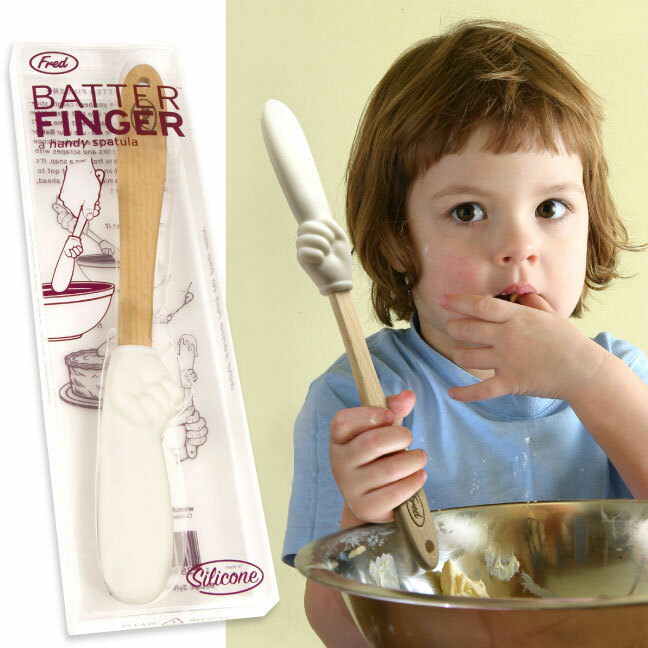 When I was a kid my sister and I would have a NATO like conference to decide who got which whisk, a very important task. But once they are pulled from the mixer and handed over to you they become a batter lolli pop. Now that you have one in your hands you will have to exercise your tongue, in ways worthy of an Olympic category, to extract the nectar of batter. Oh wow is it worth it though, because between chocolate cake batter or cookie dough I am not sure if any baked cookie or cake can match that moment of zen. Go ahead make an excuse to bake and if you have the whisks enjoy and better yet share or fight over them with others. If you don’t have a whisk I highly recommend a spatula, easy to lick and just as fun. Note to others: Do not try to eat the spatula even though it has a nice texture under the batter. If you get a chance check out the BatterFinger from WorldWideFred (I take no responsibility for tongues harmed or caught in mixers.) Enjoy.